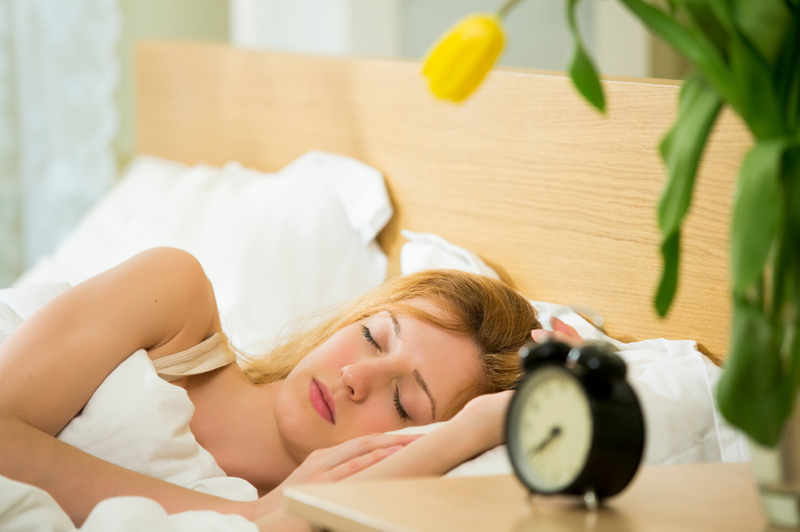 Many of us are accustomed to waking up early on weekdays to head to work and then sleeping in on weekends. However, a new study published in the Journal of Clinical Endocrinology & Metabolism has found that changes in sleeping patterns can increase the risk of serious health problems. A team of researchers set out to uncover the impact of “social jetlag,” defined as the difference between a person’s natural circadian rhythm and actual sleep schedule as dictated by their social obligations, such as having to go work in the morning. They looked at data from the Adult Health and Behavior Project Phase 2 Study, focusing in on 447 adult participants between the ages of 30 and 54 who worked out of their homes during the day for at least 25 hours per week. Each participant wore a special wristband that enabled the researchers to monitor their movements and sleep activity for the full day (24 hours) over the course of one week. Upon analyzing the results from the wristbands, the team discovered that the majority of participants (85%) had later mid-sleep (the halfway stage of their sleep cycle) on days when they weren’t working, which is an indication that on these days they woke up later than on the days when they did work. After the seven-day period, the findings revealed significant differences between the health of participants who woke up closer to the same time every day and those who didn’t. The adults who had a bigger shift in their sleep schedules—as in more social jetlag, or a bigger gap between wake up times on working days and non-working days—were also more likely to show signs of unhealthy cholesterol levels, a wider waist, greater body mass index (BMI), and more problems with insulin resistance, compared to people who didn’t have a big gap in wake up times. These types of metabolic changes have all been linked to the development of a wide range of other more serious health concerns, including obesity, heart disease, and diabetes. Surprisingly, the link between social jetlag and metabolic health risk remained the same even after taking into account other measures, such as calorie intake and the physical activity levels. According to the study’s lead author, Patricia Wong, this is the first study to look at the effects of relatively normal sleep schedules on average, middle-aged, working adults. Most of the previous studies have looked at more drastic changes in sleep schedules, such as shift workers whose inherent circadian rhythm is more frequently disturbed because of unusual working hours. Although this study didn’t show a direct cause-and-effect relationship and more research still needs to be done, you may want to think twice about sleeping in on the weekends and holidays—you may feel groggy in the moment, but your body will thank you in the long run. Wong, P.M., et al., “Social Jetlag, Chronotype, and Cardiometabolic Risk,” Journal of Clinical Endocrinology & Metabolism, 2015; doi: 10.1210/jc.2015-2923; http://press.endocrine.org/doi/pdf/10.1210/jc.2015-2923.